Concern is growing for the well-being of newspaper columnist Afarin Chitsaz, who has been imprisoned incommunicado since her arrest on November 2, 2015. Chitsaz was arrested on November 2, 2015 by the Revolutionary Guards’ Intelligence Organization, which arrested three other journalists, Issa Saharkhiz, Ehsan Mazandarani, and Saman Safarzaie, that same day. Another journalist, Davoud Assadi, was also apprehended around the same time but the exact circumstances of his arrest are unknown. Mahmoud Alizadeh Tabatabaee, the attorney for three of the five detained journalists, told the reformist Shargh newspaper on April 4, 2016 that he had no information about Chitsaz. 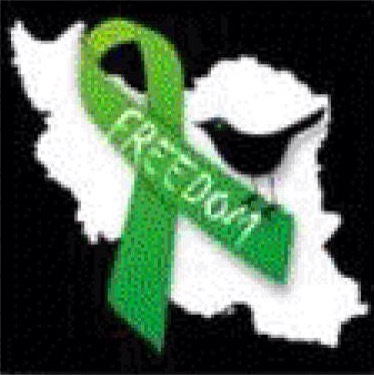 Evin Prison currently holds close to 30 female political prisoners in its Women’s Ward. Chitsaz, however, is one of the few female political prisoners at Evin whose exact whereabouts are unknown—she is believed to be held in the Revolutionary Guards’ Intelligence Organization’s Ward 2-A at Evin. There is also no information regarding the charges under which Chitsaz is being held. In recent months, journalists in Iran have been increasingly targeted by security forces associated with political hardliners opposed to the administration of President Hassan Rouhani. Chitsaz had published columns in the Iran newspaper, the official publication of the Rouhani administration. The prominent reformist journalist Issa Saharkhiz has been charged with “spreading lies and insulting the Judiciary chief” in addition to “propaganda against the state,” “insulting the supreme leader,” and “collusion against national security.” He has experienced serious health issues while awaiting his trial and was hospitalized on March 9, 2016 after being denied timely health care. The interrogator in the case involving the journalists “has not found any evidence pointing to espionage” and the charges primarily stem from the articles they wrote for the Paris-based reformist news website Rooz Online, said Tabatabaee. The Revolutionary Guards’ Intelligence Organization, which claimed responsibility for the journalists’ arrests, had accused them of being members of an “American and British infiltration network,” on November 3, 2015. Ahmad Khatami, a hardline member of Iran’s Assembly of Experts, claimed in a speech on November 30, 2015 that the arrested journalists had made confessions, including collaboration with the U.S. Alleged “confessions,” frequently forced, are a frequent tactic used to discredit, and later convict, political prisoners in Iran. That same month, Ali Shamkhani, the secretary of Iran’s Supreme National Security Council, suggested on November 10, 2015 that the journalists would be released soon.